We urge you to make 2016 the year for Climate Action in New York, cementing your role as a national leader on this issue. We look forward to climate change being a major focus in your State of the State address and in the 2016-17 state budget. We hope you will join national leaders such as Hillary Clinton in committing New York to transition to 100% renewables as soon as possible. 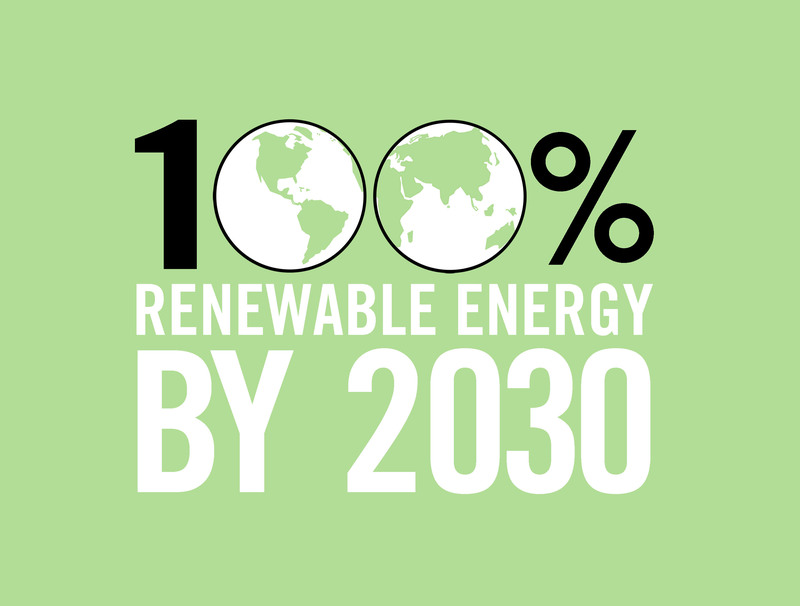 We believe that 2030 would be a good target goal (A7497 / S5527). We have attached a list of more than 80 community, labor, faith and environmental organizations that have endorsed that goal. Whatever target date you feel comfortable with, we recommend that you convene a working group to develop a concrete plan with benchmarks and timelines to make that occur. We need a massive mobilization of resources and people power to make this occur soon enough to avoid catastrophic climate change. We support your recent call to mandate that individual utilities meet the renewable energy goals set by the state. We agree that it is better to focus on concrete targets and not just rely upon market forces to achieve such goals. However, nuclear energy is neither renewable or sustainable and its high costs and environmental negatives prevent rather than facilitate achieving climate goals. We urge you to abandon state subsidies for nuclear energy to realize renewable goals more rapidly. The state funds can be better used to create jobs for nuclear power workers in new, high paying clean energy industries. We support the proposals put forth by the Energy Democracy Alliance and others to expand community shared renewables and to increase participation by low and moderate income consumers. We support efforts to ensure a Just Transition, addressing the needs of existing energy workers and communities most impacted by climate change. We recommend that the state’s goals for reducing its greenhouse gas emissions be put into law, with clear timelines and benchmarks set through a detailed climate action plan. All state agencies and authorities should be required to ensure that their actions are in compliance with the climate action plan. Local governments should be directed to adopt their own climate action plans as well. Evaluating the climate impact (as well as environmental justice) should be made part of SEQRA. Most of the world’s countries and an increasing number of scientists believe that in order to avoid catastrophic climate change we need to lower the target cap on global warming from 2.0 degrees centigrade to 1.5 degrees. The latter goal requires an annual reduction in emissions of 7.0%. The development of a major offshore wind (OSW) program is essential to the state and national effort to avoid the worst of climate change. We appreciate that your administration has shown support for offshore wind and is taking leadership to work with nearby states to develop a regional agenda. That is important. We urge you to go further and to make a major commitment to a Power Purchase Agreement of 5,000 MW of OSW by 2025 and 10,000 by 2030. The University of Delaware, which authored NYSERDA’s report on OSW, recently said that the United States has moved backwards in the last decade with respect to wind due to overreliance on market forces. We agree with their assessment. The NYSERDA report found that the best way to lower costs for offshore wind was to commit to a large scale project. Whatever state builds the first major offshore wind project is likely to attract the infrastructure investment in manufacturing, shipping, ports, and supply chain that will position it to be the center of the offshore wind build out along the east coast. NYPA funded studies show that a single OSW project could generate total economic activity of $1 billion in sales, 8,700 job-years and $610 million in wages for New York State. A 2014 study by Stony Brook University found that if 2,500 MWs of projects were developed, Long Island would get 58,457 construction and operations phase jobs, as well as approximately $12.9 billion in local economic output. Your administration recently set a goal of having 50% of its electricity come from renewables by 2030. The flip side of that goal is the need to limit the amount coming from non-renewables to 50%. The state already has in place more than enough fossil fuel infrastructure to meet that 50% goal, so rather than investing in more fossil fuels the state needs to figure out how to back more of it out of the energy system. Natural gas is not a solution to climate change. Short term methane is 87 times more potent as a greenhouse gas than carbon dioxide, Government regulators have significantly underestimated the amount of methane being released. We urge your administration to halt the expansion of natural gas and other fossil fuels infrastructure. As noted above, we urge you to reject nuclear power as a bridge fuel to clean energy. Nuclear power plants are not “carbon free.” Significant amounts of fossil fuel are used indirectly in mining, milling, uranium fuel enrichment, plant and waste storage construction, decommissioning, and ultimately transportation and millennia-long storage of waste. Transportation remains a major contributor to climate change. A simple but critical step to take in the 2016 budget would be to significantly increase investment in the recharging infrastructure to support the rapid transition to electric vehicles. The state should immediately begin to electrify its own fleet and provide financial incentives to individuals to purchase similar to California’s. There also needs to be a major investment in mass transit both for the MTA and statewide beyond the levels you and the City have proposed. We hope that your administration will continue to expand your support for solar power, geothermal, conservation and energy efficiency. We especially support initiatives and funding to expand community shared renewables, expanding participation and input from low-income households and communities of color, and provide for a Just Transition for workers and those most impacted by climate change. We support funding for low and moderate income groups to participate in the various regulatory proceedings such as REV. The state should lead by example and establish short term goals (within five years) to solarize, energy retrofit and otherwise reduce the carbon foot print of all government buildings. A paper from Center for American Progress outlines how other states have supported the expansion of community solar. Greater availability of financing and lowered costs have resulted in a strong, growing residential solar market. Unfortunately, the majority of low-income households have not enjoyed these benefits because they face challenges ranging from a lack of information to the inability to benefit from tax credits and difficulty obtaining low-cost financing. Worthwhile proposals include using brownfield sites for community solar; financing low-cost solar through community development organizations; and incorporating community solar into housing stock rehabilitation. As reported in the State Energy Plan, on-site combustion – primarily for heating home and buildings – accounts for 35% of New York’s fossil fuel greenhouse gas emissions. This is almost double the 18% caused by in-state electricity generation. Jumpstarting renewable heating and cooling is crucial to addressing this major source of emissions that must be brought under control if we are to meet the goal of a 40% emissions reduction by 2030. We urge a crash robust program for geothermal heating and cooling. This should include adequate rebates to offset soft costs, accessible low cost financing, support and prominence in NYSERDA programs, and an emphasis on reaching low income New Yorker’s. It is crucial to include the 25% tax credit and sales tax exemption bills unanimously passed by the legislature last session in this year’s budget. Including these items in the executive budget would make a strong statement. We also urge you to look at the example Denmark set in integrating building heating into their climate program when they banned the use of fossil fuels as a heating source as of January 1, 2013. As renewable energy – especially for on shore wind and solar – has become cost competitive with other forms of energy, the state should provide up front public financing to expedite the transition. Due to low costs and tax credits, many solar companies employ a model where the homeowner need not make upfront capital investments to install solar panels, with the companies making a profit on their investment after the initial payback period of 7 years or so. NYPA should employ such a model to rapidly expand the installation of solar, energy conservation and other renewable energy systems across the state. Once the initial investment is paid off, either NYPA or some form of cooperative or public ownership model could take over. We urge you to continue to improve the Green Jobs Green New York program to enable it to meet its goals to energy retrofit homes. The state should also overhaul its building codes to ensure that new homes have zero carbon emissions. The State needs to initiate an aggressive program to energy retrofit existing buildings, including commercial and industrial. We support a significant expansion of Community Choice Aggregation statewide, with a strong preference to make renewable energy the default option. We strongly support what is known as the 2.0 model for CCA. One issue that requires attention is the PSC requirement that the default for CCAs is the low cost option. If the State is truly committed to making a bold transition to renewables, the default option for each CCA effort in the State should reflect this with an energy portfolio of between 50% and 100% renewables (our preference). A low cost option could also be provided, but not as the default. 1) Ensure access to utility data by CCA, including aggregate, customer, and system data in a timely manner during the CCA energy-planning process. If communities are to be charged at all, that cost should not exceed the cost of pulling the data together for the CCA. 2) Ensure that the opt-out provision extends to ALL customers, and not just residential and small commercial. Large customer participation is important to the economics of the CCA and these customers also have much to gain from it. 3) Enable CCAs to have access, if they so choose, to the energy efficiency funds collected by the utility from customers within the CCA borders in order to implement energy efficiency and renewable heating and cooling programs tailored to community needs. Such programs will be more effective if designed and implemented at the community scale, as opposed to the utility service area scale. Both California and Massachusetts CCA statutes permit CCAs to administer the Systems Benefit Charge. We also note that reliance on market forces to drive energy choices requires a carbon (greenhouse gas) tax at a high enough level to reflect the actual costs of damages from burning fossil fuels, including methane, and to incentivize a rapid transition to clean energy. The proposed state carbon tax (A8372 /S6037) would start at $35 a ton and then increase in annual increments of $15 a ton. 60% of the revenues would be rebated to low and moderate income consumers. The remaining forty percent will support the transition to one hundred percent clean energy in the state, to support mass transit to reduce carbon emissions, and to improve climate change adaptation. Such funds shall include payments and subsidies for renewable energy, energy conservation and efficiency measures, improvements in infrastructure, improvements in mass transit capacity, agricultural adaptation measures, protection of low-lying areas including coastlines, and emergency responses to extreme weather events. Pope Frances spoke out against the dangers of a market-based cap and trade system such as the Regional Greenhouse Gas Initiative (RGGI) in NY. RGGI inadequately prices carbon at only $7 a ton. A July 2015 report from the Congressional Research Service found that RGGI’s pricing impact on carbon emissions was negligible. The report found that the vast majority of CO2 reductions from RGGI were due to energy efficiency and renewable energy gains paid for by the sale of the CO2 permits rather than from the (extremely weak) price signal. We appreciate the leadership that you have provided in New York to address global warming. We urge you to set a sterling example for other Governors and elected officials to emulate.